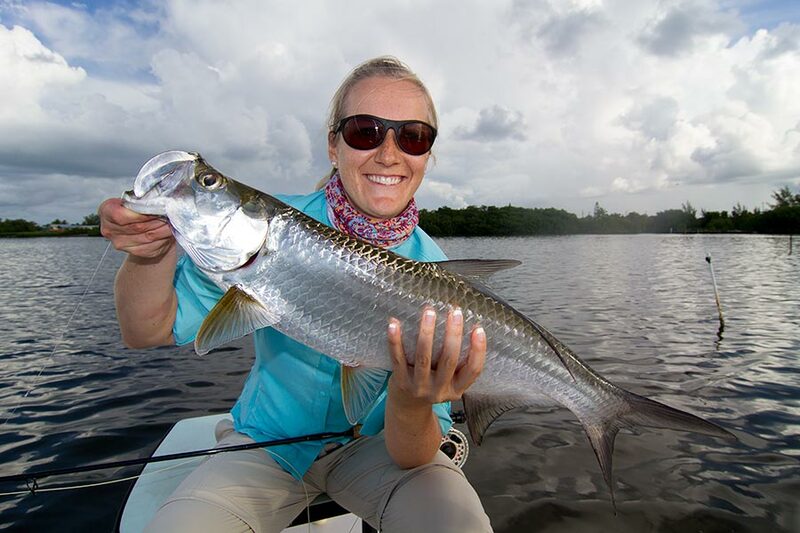 I’d be hard pressed to say that there’s something better in the realm of saltwater fly fishing than stalking tarpon with a fly rod, right? I mean, what fly angler wouldn’t agree with that? 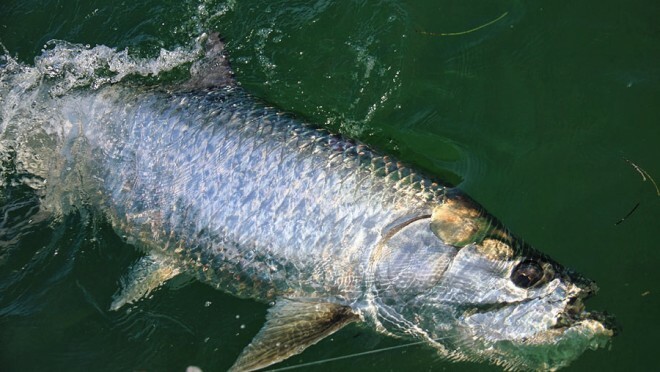 Tarpon are God’s gift to the fly angler. Period. – It’s cloudy and you can’t see in the water? 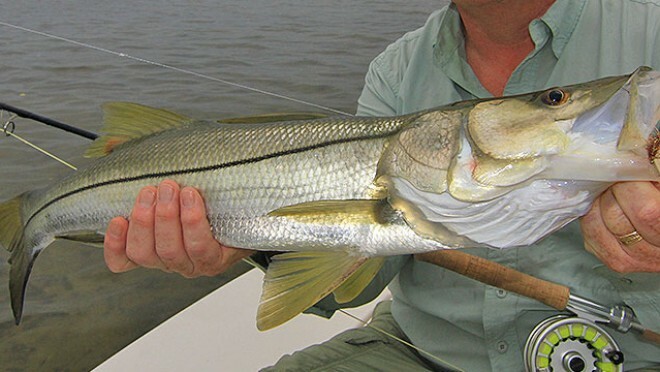 No problem, Tarpon roll. We can spot them from a long distance basking on the surface making them easier to stalk and present lures or flies to. 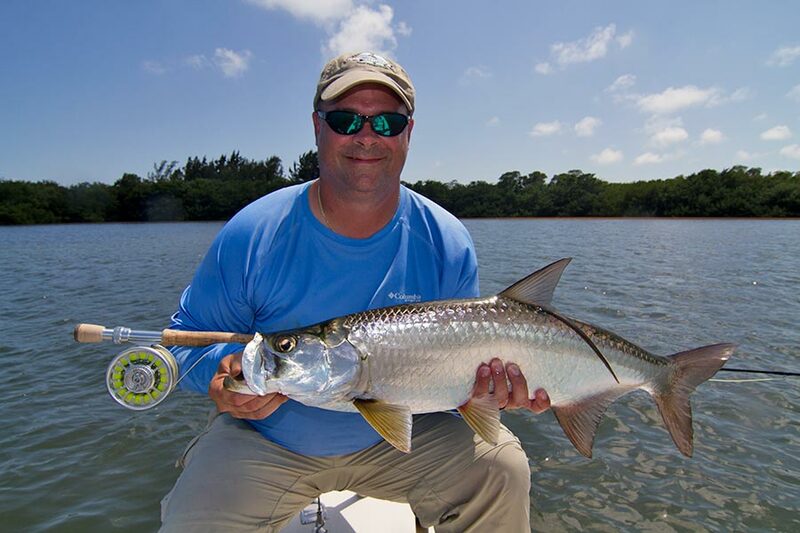 – Tarpon eat flies, extremely well, more so than live bait sometimes. Ask a migrating ocean fish. – They eat big flies, small flies, top water flies and sinking flies and flies of all colors, all of which we can easily imitate. – They live in murky water, clear water, fresh water and saltwater. – They get BIG. Not 30lbs or 40lbs big but 300lbs big. – They jump. 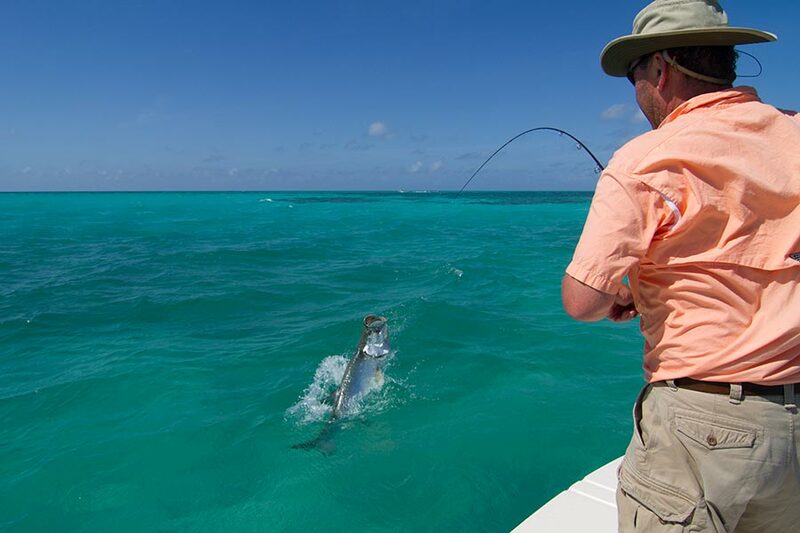 Every angler gets wide-eyed when any fish jumps but a 100 lb. fish? Whaaaaaa? – They eat worms, for crying out loud. Worms. 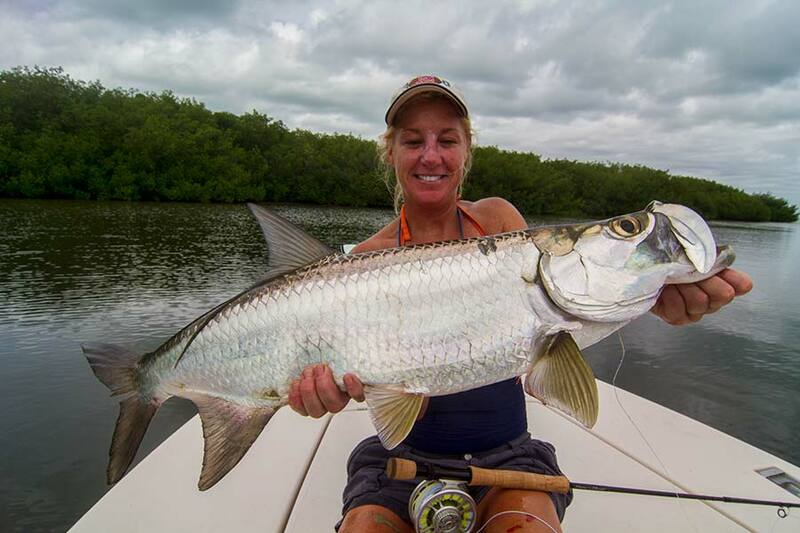 Tarpon may only have one down fall in the angler’s eye. That one important thing is that it’s mouth is as hard as a cinder block but we’ll tackle that subject another day. 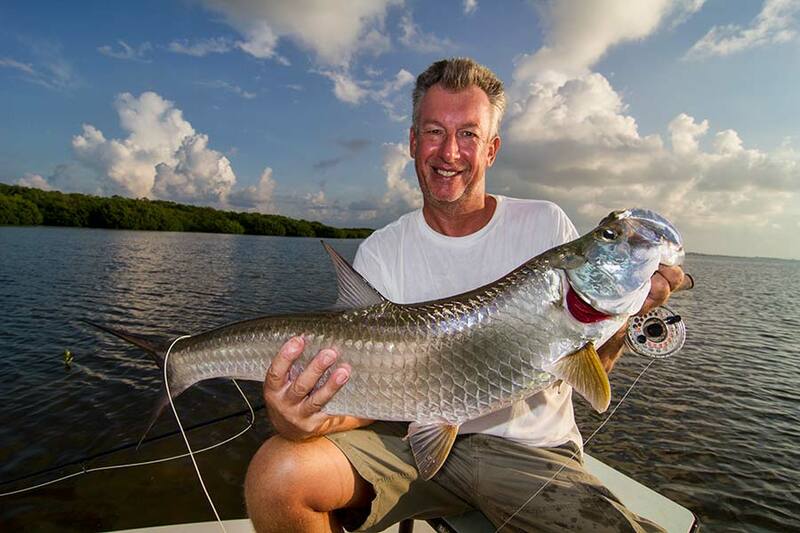 Fish like this one above, (Jeez Ben, smile or something, will ya. At least pretend you’re happy) are very common in the spring, throughout the summer months and even into the fall. If I had to pick a favorite month, it would be July. 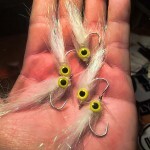 Top water flies work best when it’s slick calm otherwise small sub surface shrimp flies or white bait fish patterns (like you see on the left) will do the trick. What you don’t want are flies that sink. 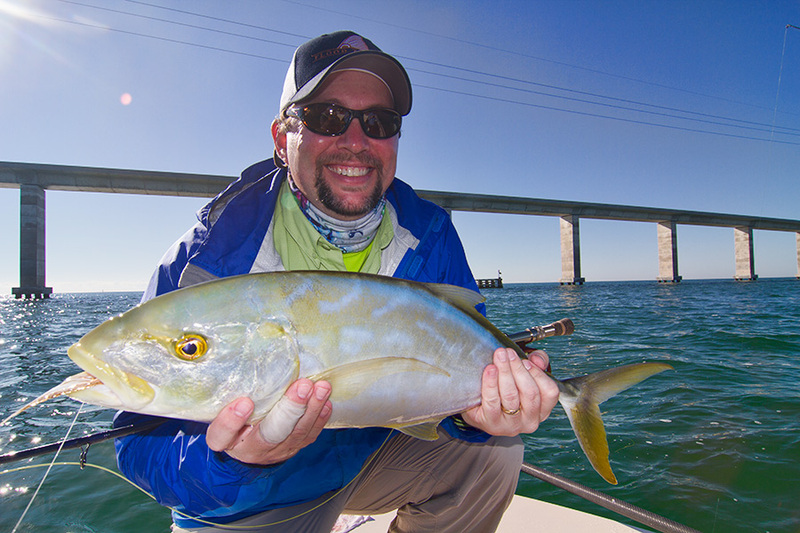 I suggest using light wire hooks (I use Gamagatsu SC-15 1/0) and 30lb fluorocarbon for your leader. I try to stay away from flies with lead eyes in most hatch situations. 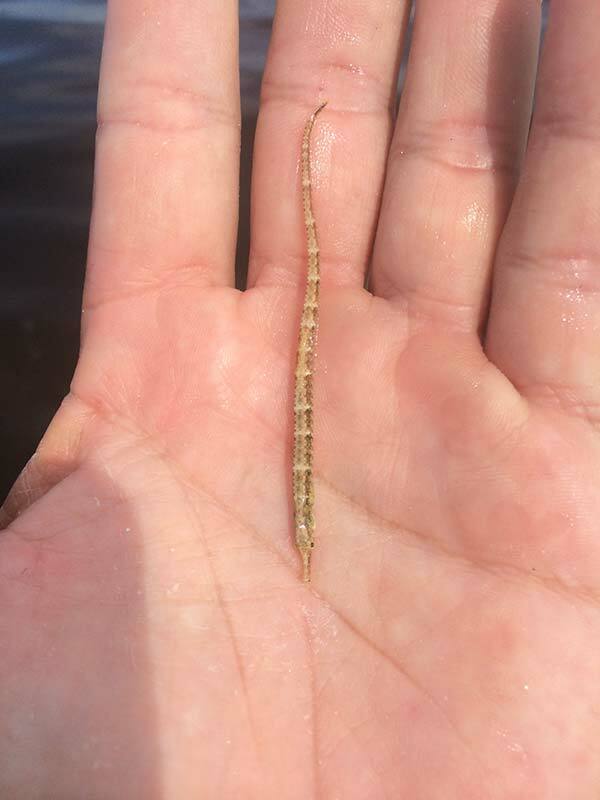 There are some places where the water is deeper during the hatch and weighted flies can be used but 99% of the time, I find the fish in less than 18 inches of water. Let’s face it, top water bites are so much better! The action can last up to 3 hours so hitting the water at sunrise is a must. There are some occasions when this happens in the afternoon as well. 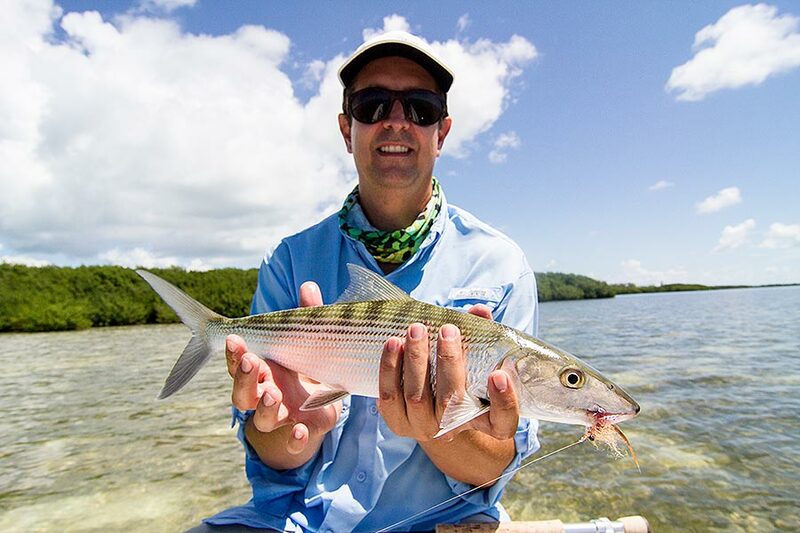 I agree with what my good friend and host of the television show “Saltwater Experience“, Tom Rowland says “It’s not a morning or an afternoon thing, it’s a conditions thing.” He’s right. I have seen these hatches in the afternoon as well. Conditions just have to be right although I feel more confident that I will find these hatches in the morning hours. 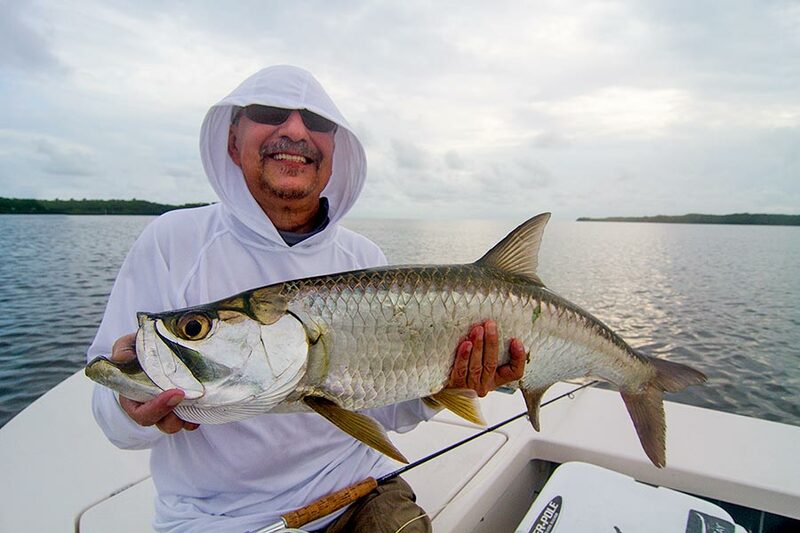 On this one particular day, the hatch was going on before we even got there and it was all out madness – Tarpon were rolling everywhere. The fish weren’t huge but there were TONS of fish sipping shrimp, crabs, pipe fish and small pilchards which were dying due to the low oxygenated water. 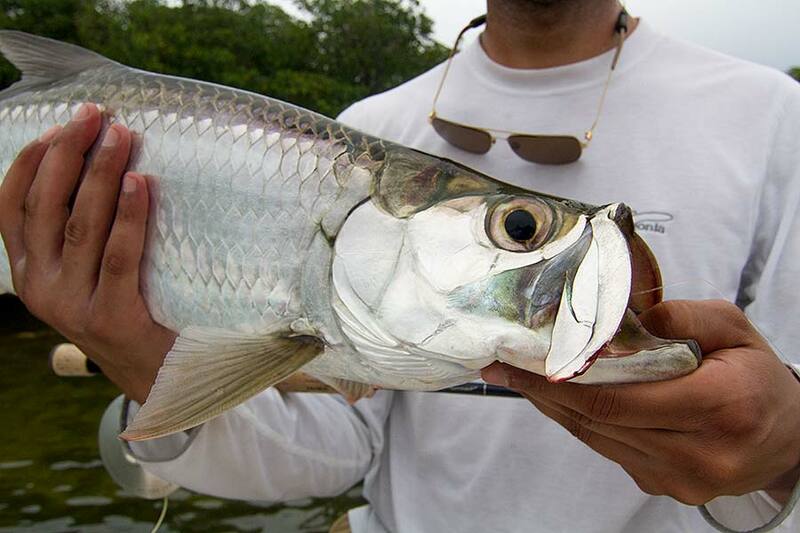 Tarpon took full advantage and so did we. That morning, our weapon of choice – the tan gurgler. It was so calm, you could see a bird turd hit the water 200 yards away, which is the perfect situation for small top water flies. Ben was a pretty good caster but Nader was a complete novice. Ben pretty much hooked up right away and gave Nader the bow for the rest of the time to hook up. That’s what you call a good friend right there. He had so many opportunities that morning but couldn’t come tight until later on in the day. 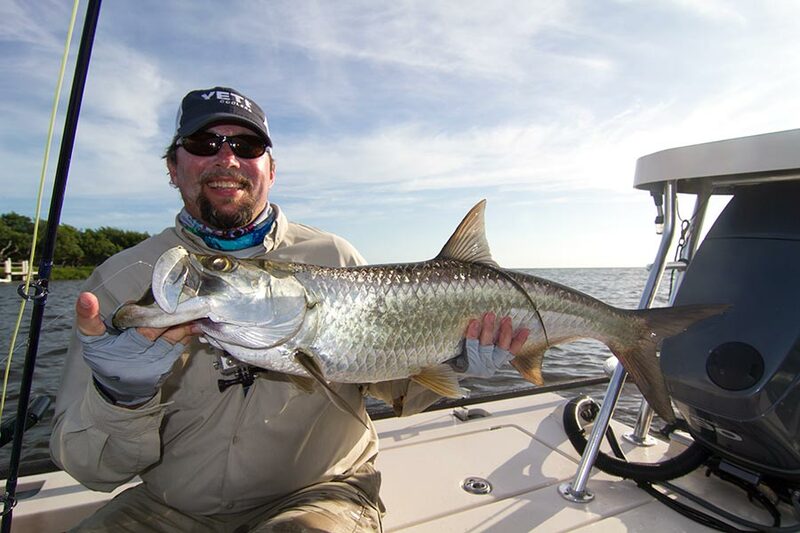 And Like I said before, Ben caught his tarpon pretty much on his first few casts but FUBAR’d when he grabbed the fly rod mid-blank while fighting a tarpon and it snapped like a twig (Rest in Peace, Thomas and Thomas Solar 8 weight). I know what you’re thinking now, that maybe Ben didn’t really give up the bow to his good friend Nader but I, sort of, maybe kind of banished him from the bow. I deny all those allegations. *blank stare with an occasional blink*. You can see Ben’s dismay in the first photo below. Unfortunately or fortunately, depending how you look at it, we didn’t take a picture of MY face when he did that. I’m not going to lie, I was looking for a tissue box. 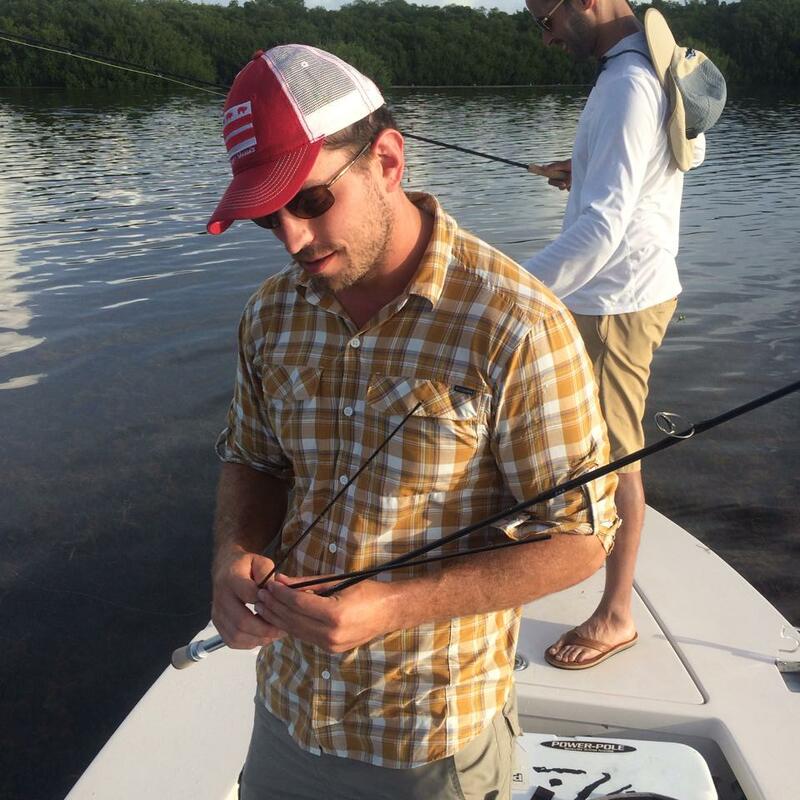 For the rest of the day, we just tried to get Nader a tarpon. 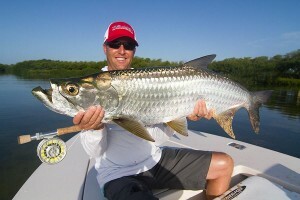 Everywhere we went had Poons but Nader was still having problems casting. 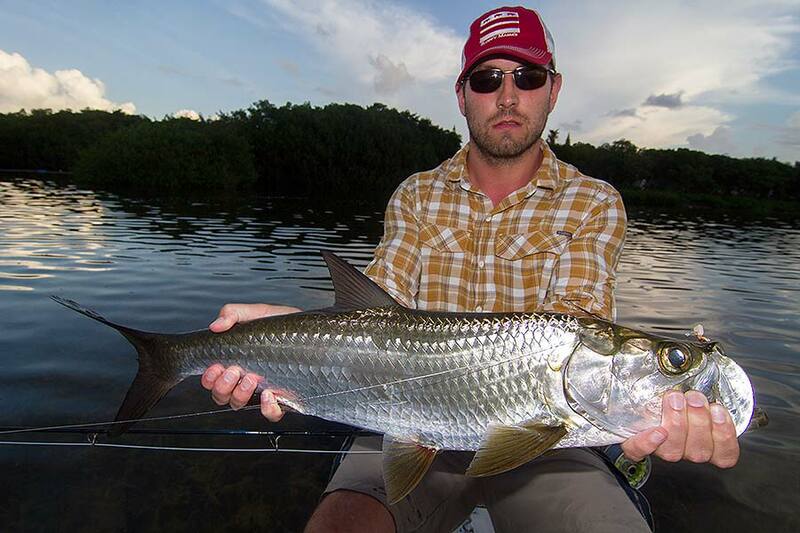 I hit one last spot hoping that this would be it and what we found were a bunch of dumb Tarpon. Who doesn’t like dumb fish? Say “I”, if you don’t like dumb fish? (*crickets*…hello?) Okay, so maybe they weren’t “dumb”, that might be a bit too harsh. How about we use the word “starving”, yup, I like that word because that’s exactly what they were. He threw out a pretty good cast, around 25 feet or so and 5 tarpon raced after his fly so fast he didn’t have time to react and one of them got stuck. Love it when a plan comes together. 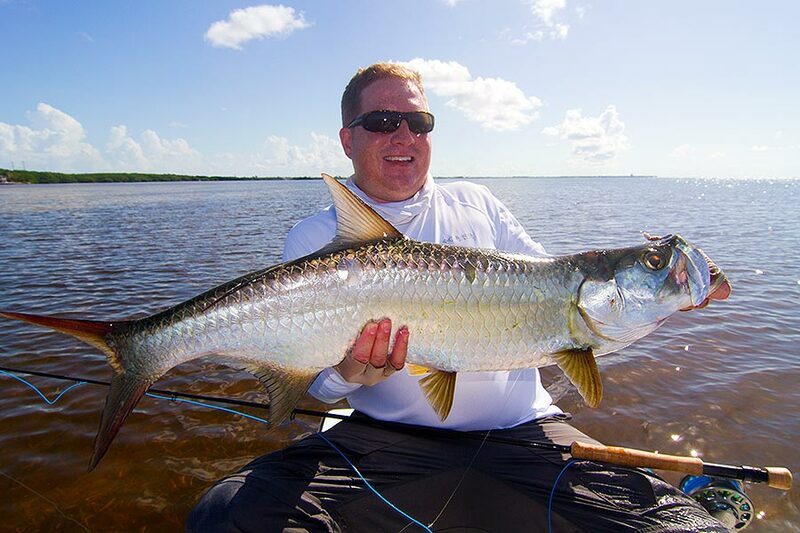 It was by no means a monster but for someone’s first tarpon on fly, it was awesome. He was really excited after being frustrated for most of the day. 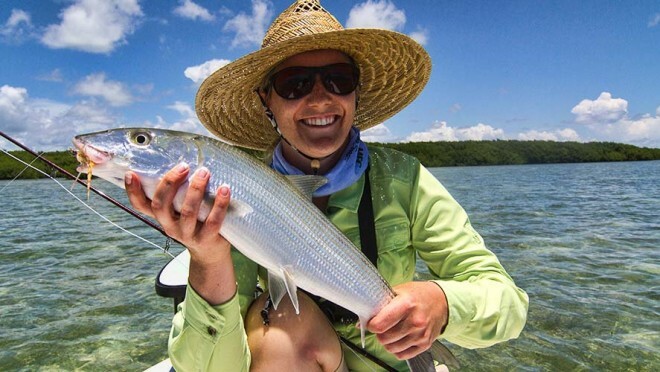 Hard work and persistence is the name of the game on the flats especially with a fly rod. 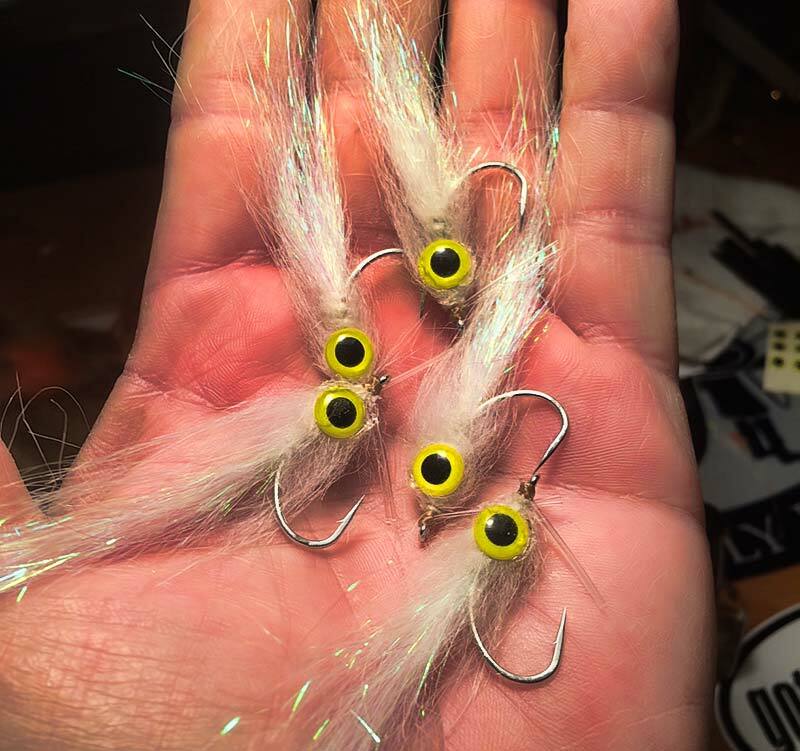 As you read further down, I’ll talk about the shrimp hatch being the best type of fishing for novice fly casters. 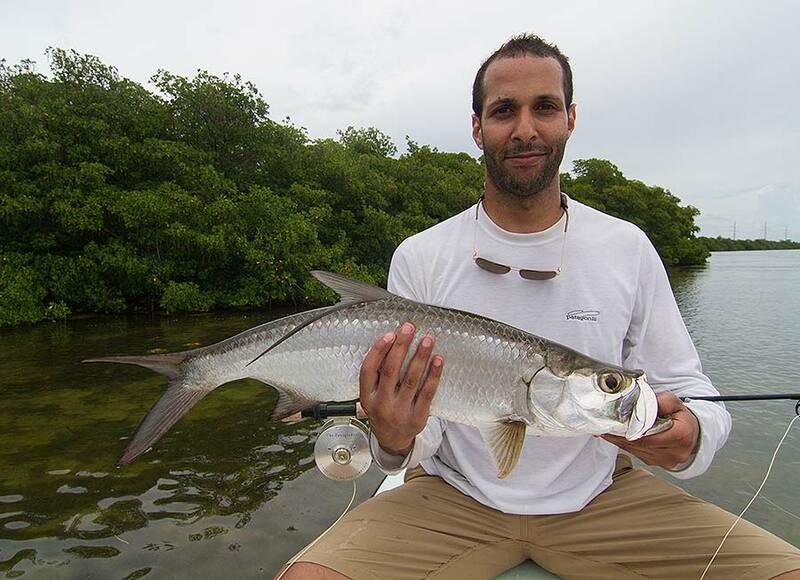 In this particular instance, Nader did not catch a tarpon during the hatch but did later in the day. It took him all day to finally understand the physics and intricacies of fly casting (plus he was basically practicing for 8 hours under my tutelage) so let this be an example. You must have the basics down. You should know how to at least throw a loop. You should know by this point that breaking your wrist is bad. 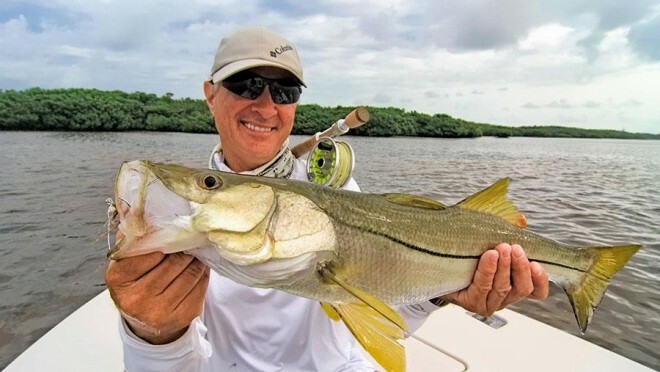 You should know the fundamentals because the chances of catching a fish will be extremely low if you’ve never picked up a fly rod before your guided fishing trip. 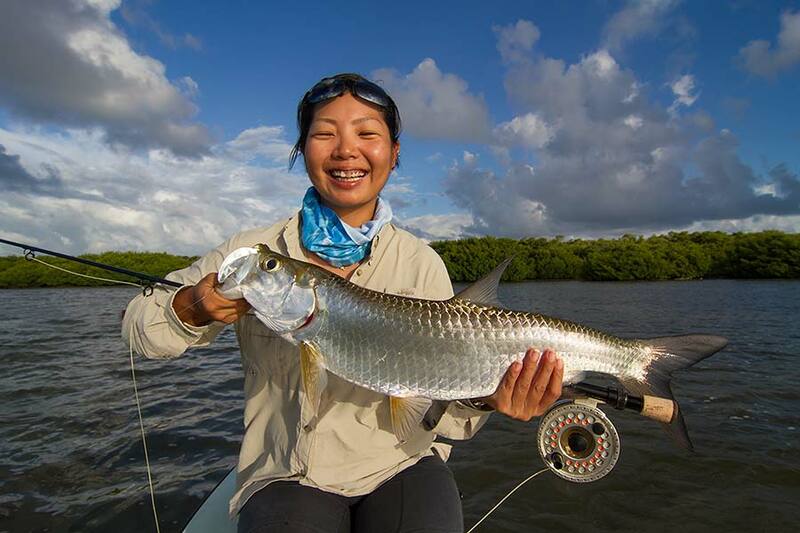 Some anglers learn much faster than others and of course, we all know women learn much faster than men. It’s a fact, gentlemen, sorry. The more you practice, the better you’ll get. I can guarantee you that but you must practice. Take a few lessons because there’s nothing worse than practicing all the wrong techniques. There are strict guidelines that you must follow and must execute them properly. As I stated earlier, Summer time is the best for these hatches. 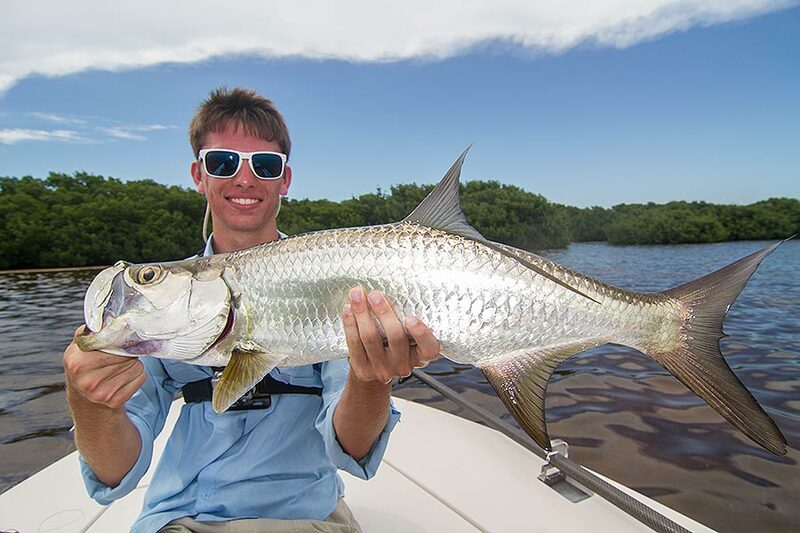 Warm water and floating grass combined with outgoing tides produce some of the most intense baby tarpon action any where. 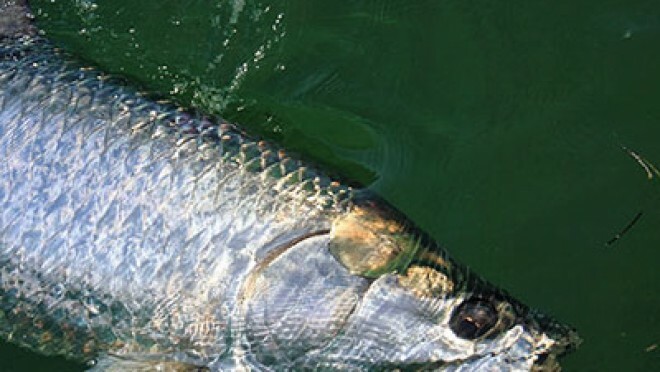 When the tarpon are feeding during these hatches, there isn’t a fly they wouldn’t eat and most of the time, they’ll strike very close to the boat. Here is some cell phone footage of this with my client Mike Tataro who just beat cancer seven months before this fishing trip. There’s no need to cast 80 feet, although the more distant you get, the more fish you will catch, no doubt. 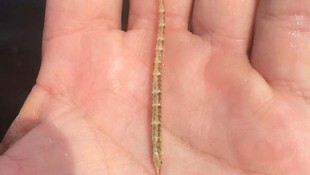 In most cases during shrimp hatches, short casting can get it done. Here is another example with more cell phone footage. 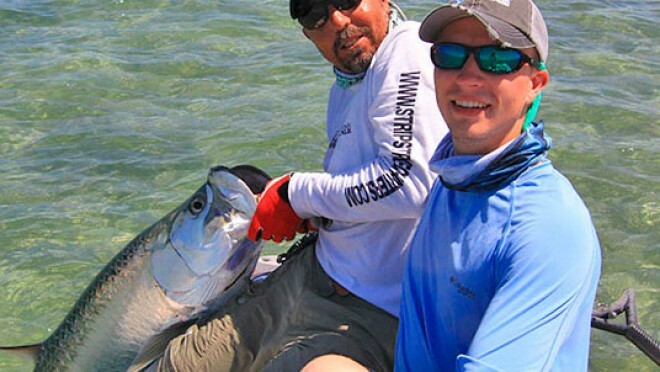 If you’re a novice fly fisherman and are just getting started, this kind of fishing is for you. It yields high reward. Don’t get me wrong, you do need to know the basics of casting but if there was ever a type of fishing specifically tailored to novice fly casters, this is it. During these hatches, tarpon are nothing shy of savages, popping every dying creature in that tea colored water and floating grass. 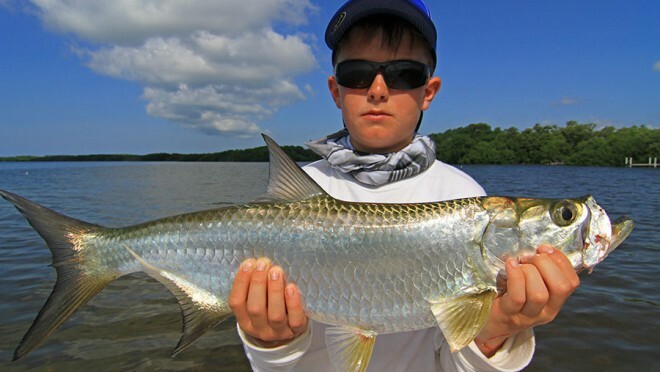 Share the post "Baby Tarpon on fly – the Shrimp Hatch"
Mid-sized Tarpon on the 8 weight!